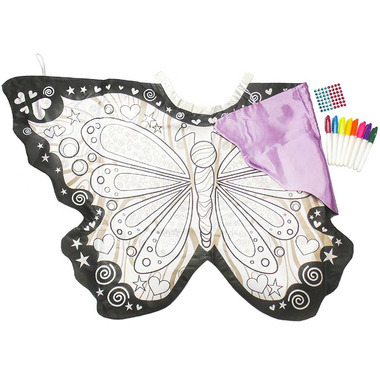 Great Pretenders Colour-A-Butterfly Wings comes with gems to stick on, 6 markers, and a fanciful set of wings to personalize and colour. 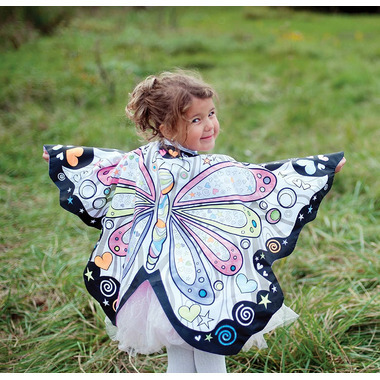 The reverse side is made from a heavy satin. Hours and hours of fun await so get ready to giggle!